This pull on two tone hoodie will be a firm favourite with the kids and is available in sizes from 5 years up to 12/13 years. 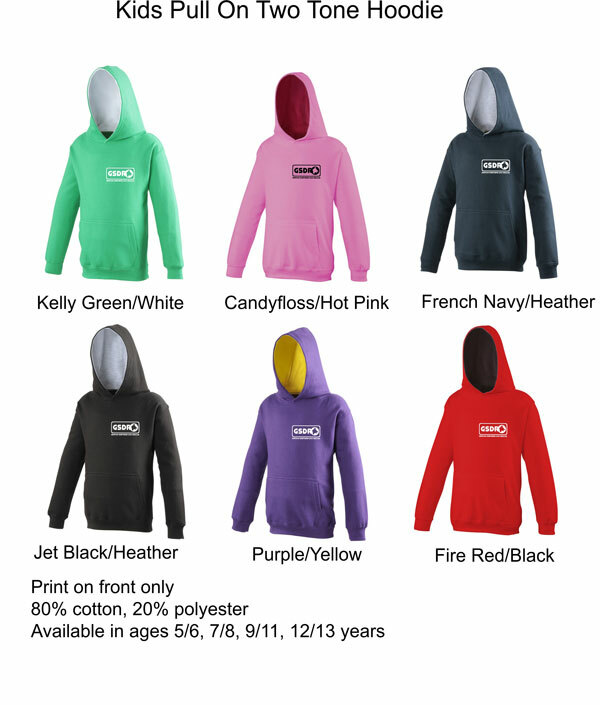 The hoodie is 80% cotton, 20% polyester and so should wash and wear well and it comes in some great colours. This design has a small GSDR logo printed on the front.